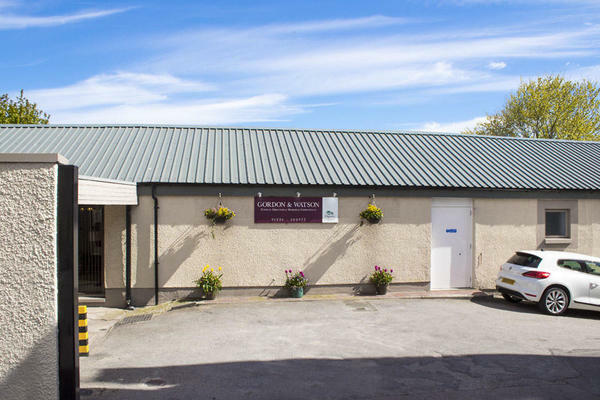 Aberdeen based Gordon & Watson Funeral Directors are here to serve the local community. We provide a professional funeral service with uncompromising quality. Working closely with you, we will help you to plan and arrange your loved one's farewell, supporting you at every step of the way. Every family we work with is treated with respect, dignity and compassion. It is our aim to exceed expectations, consistently going above and beyond to give you all of the support, advice and guidance you need. We want you to know that we are here for you, 24 hours a day. You can reach us by telephone at any time, so please rest assured that we will never be more than a phone call away. You can reach us on 01224 580377. There is limited car parking available at the branch, with paid parking on surrounding streets. Our funeral home is at the end of the street. Our staff are available 24 hours a day on 01224 580377 if you require our services outside of these hours. Staff are diplomatic, caring and efficient.